❢ QuintoAndar has a very promising career in Product Management, from entry to senior levels. If you have just graduated or do not have management experience yet, you will probably start as a Product Analyst and will pave the way to become a Product Manager. During the hiring process, we will evaluate your background and skills to define the level that best fits you as a starting point. ❢ If you are a smart and tech-savvy problem solver, but feel you lack relevant experience as a Product Manager, please apply Product Analyst position (here). ❢ We've just opened a new office in Campinas (SP) and we need amazing product people to help us build an A-Player team from the ground there. 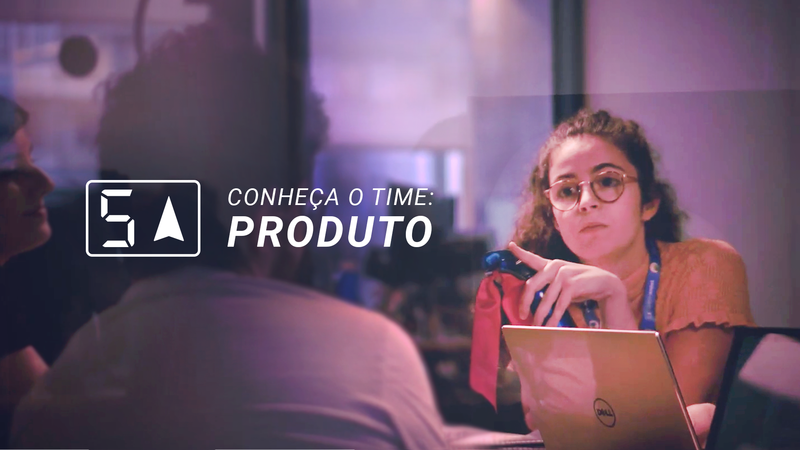 If you live in Campinas (or have the mobility to move there) and are passionate about building new teams and great products, please apply for Product Manager position at Campinas (here). ❢ This is a product development position. Please do not apply if you are looking for a 'product marketing' position. Read responsibilities and requirements thoroughly. You'll be responsible for the development of one or more of our products on desktop, mobile and native apps (Android / iOS). You'll manage production cycle of a multidisciplinary product squad, composed by brilliant, highly productive engineers, UX designers, QA and, eventually, a Product Analyst. Need to clearly understand each stage on QuintoAndar's service pipeline. How we work, how we respond to (and support) our clients, and what happens in each department. Work in partnership with Data Science, Marketing and Operations teams to solve problems with creativity and collaboration. You will need to lead discussions with stakeholders and guide them throughout a structured decision making process. Coordinate teams using agile methodologies and break big projects into small and frequent releases. Plan launch dates, report weekly deliveries and collect feedbacks. Track efficiency of your product with datanumbers, so that you can understand user behavior and enhance product efficiency in the following version. Numbers, numbers, numbers: WHY are you following that path? Draft and prototype each concept feature; iterate with your product squad to design and implement it. Align it with the head of product and stakeholders. Manage bug reports and tracking; manage QA analysts; manage bugfixing, making sure you account for it in your production pipeline planning. You have proven experience as a strong product owner or a product manager in a consumer internet company (web or mobile) - a plus if it was in a high profile startup during high-growth stages. You have demonstrated experience in process management. You are very analytic and you're tuned into industry benchmarks to solve our clients needs. Design thinking: demonstrated ability to gather user requirements (even when the user does not know about it) and convert them into a compelling product vision. You are used to aggressive launch dates. your CV includes a couple of years in a very analytical job. We like strategy consultants as product managers, if they have some hands-on experience.